Matchroom boxing confirmed that Anthony Joshua will be defending his IBF heavyweight title on Saturday, 25th June 2016 and it is highly likely 02 Arena in London will host the fight. Three names are in contention with the likes of Johann Duhaupas, Eric Molina and undefeated Dominic Breazeale in the running for the big title fight. 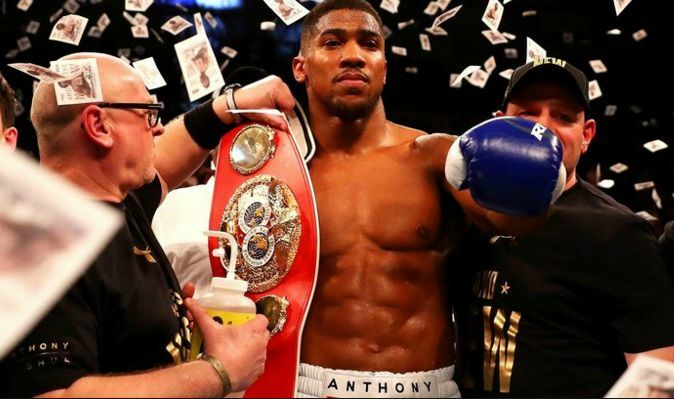 Joshua who defeated Charles Martin to win his very first heavyweight world title is already believed to be back in the training and some of the big names are mentioned but Eddie Hearns has ruled out any big fight for Joshua this year and instead they are opting from IBF top 15 ranked fighters. Bermane Stiverne was widely tipped to fight Joshua this year but he has fallen out of the top 15 ranking and Hearns ruled his name out and now they are only looking at Johann Duhaupas (34 wins, 3 losses, 21 KOs), Eric Molina (25 wins, 3 losses, 19 KOs) and Dominic Breazeale (17 wins, 16 knockouts). Eddie Hearns did mentioned that they would prefer Dominic Breazeale or Eric Molina to 25th June bout in London. Wilder, Fury, Haye are the three big fights awaiting for Anthony Joshua next year and he will need to keep defending his title before a real mega fight is made. Looking at how another Eddie Hearn champion Kell Brook’s career has gone in the last couple of years we can only assume Anthony Joshua won’t be fighting any big name for atleast another year and half. So we can safely rule out possibilities of him fighting Tyson Fury, David Haye and even Deontay Wilder atleast till the end of 2017.